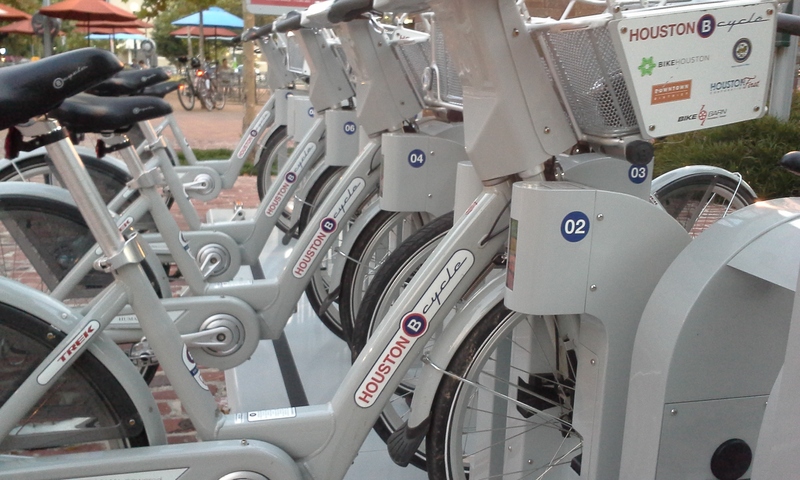 http://houston.bcycle.com – is this houston? These Bcycles all look great so far. Good seats, tires and no scratches or dents on the frames. Hopefully the fleet will grow, the rental price will come down to something more affordable for the folks that could really benefit from it and make it inline with a METRO bus fare or less and a few more open up along the existing and future Light Rail routes. These bikes are very misleading on their pricing. 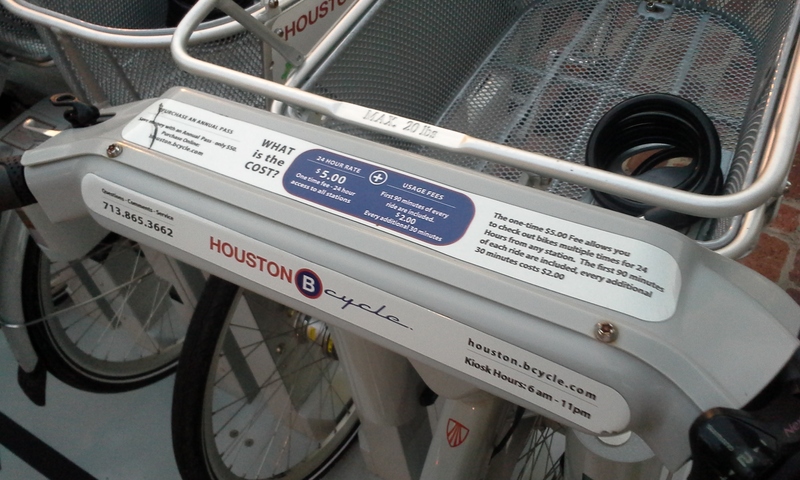 It states that you can buy a $24 pass but they fail to tell you that unless you go to the bike station every 30min they will charge you $4.00 So the bikes are great if you are just doing a quick ride and dont mind running back and forth to the bike station or franticly looking for a bike station. Save your money and go buy a cheap bike thats always free.